Home Live Writing is an ongoing series of initiatives for writers based in the South East who wish to learn more about writing critical responses to live performance. 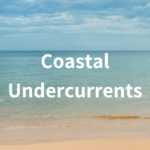 The first Home Live Writing project entitled Coastal Undercurrents ran parallel with our programme of live events at the 2018 Coastal Currents Arts Festival in Hastings. Prior to these events the writers attended a workshop run by critic, curator and academic Diana Damian Martin and performance writer and artist Bojana Janković from Critical Interruptions. The day-long workshop explored writing and criticism in relation to performance and provided reading and resources to participants for inspiration and further insight. The final written critical responses will be published on the Home Live Art website and social media very soon – so watch this space! The second Home Live Writing project will happen spring 2019. Please email info@homeliveart.com with Home Live Writing as the subject line to register interest.